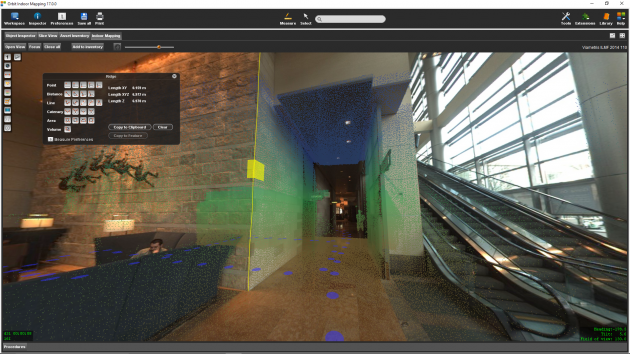 Use the powerful Orbit 3D Mapping solutions to produce, update indoor content, and share the 3D indoor data faster and more effective than ever before. 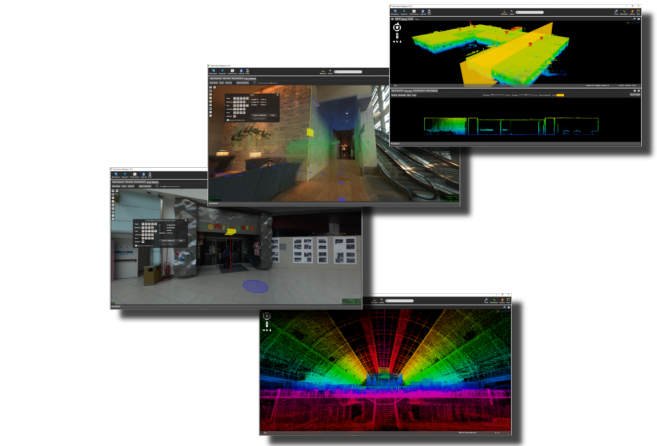 Orbit's 3D Mapping solution is the most forward-looking on the market and supports all currently developed indoor mapping systems. However indoor mapping data is collected, with imagery either panoramic or planar, with or without a point cloud, Orbit supports all. Orbit Indoor Mapping comes with an easy-to-use procedure to import processed indoor imagery and point cloud data. Manage clearly all single runs and bundle into manageable projects. Clean up artefacts, control positional accuracy, consolidate and deliver. Manage your content, extract and process, and open your market to new consumers, all within one platform. Maximize your efforts and let the data do the work. Using the advanced measure techniques 3D data can be extracted to feed into any GIS or CAD. Intelligent thinning, selection and cleaning processes can be executed to optimize the point cloud. 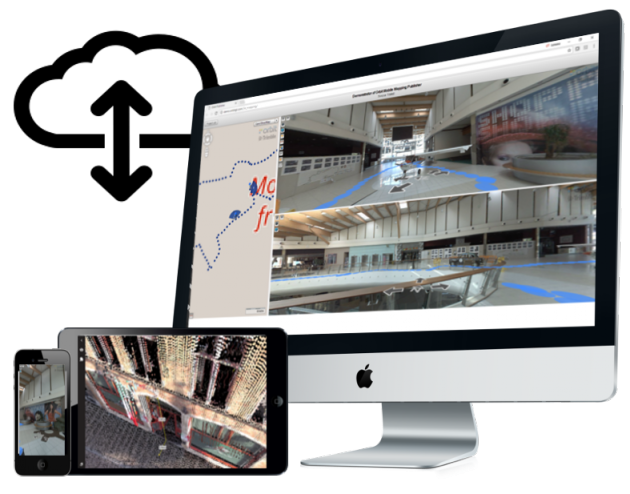 Orbit’s 3D Mapping portfolio provides the tools to publish Indoor mapping content and extracted features & assets online, either via 3dmapping.cloud or on-premises. View, share and analyse your indoor mapping resources from any webbrowser, app, or 3rd party software plugin. 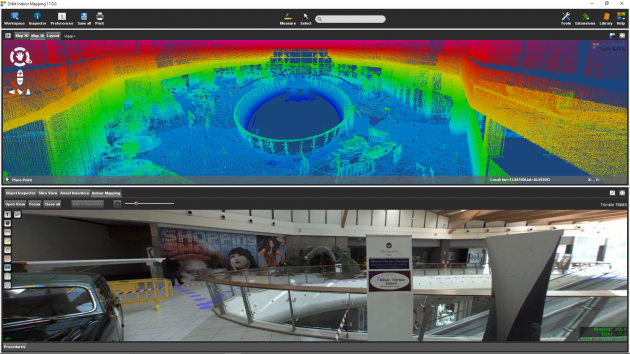 Bundled with a powerful GIS engine, the software allows to visualize the captured data (imagery and point cloud) and combine with reference data. Any supported geodata file or webbased resource can be combined with the indoor data and overlaid on the Map 2D or 3D. The point cloud can be visualized in full 3D using the extensive legend parameters. Roam through terabytes of point clouds and imagery easily and combine with outdoor projects. Limitless. Easy. Fast. Orbit’s intelligent Feature Extraction solution provide measurements and overlays in an easy-to-use but highly professional asset inventory workflow. Based on the captured data, the advanced ‘floor plan builder’ will guide you to produce fast & accurate the required plans on every level. Export or cloud upload for GIS/CAD is supported. Orbit’s publishing SDKs and APIs allow anyone to access indoor mapping content from within their workflow, business intelligence tools, or any host such as your favorite GIS or CAD system e.g. ArcGIS, ArcOnline, AutoCAD, QGIS, MicroStation and more.